In Russia there are a lot of Cossack communities, each of which has its personal Charter and certain rules, fixed by tradition. Conditions of entry to any of these organizations have their own peculiarities. But there is a single document developed by the Council for the Cossacks, which sets forth the General rules for those wishing to become a member of this community. Write a letter to the ataman of the Cossack society that you would like to join. It is made either in loose form or set in the community sample. In a statement, asking the ataman of the community to take you to the Cossacks, clearly explaining his request. Specify the true reasons that drive you to do that. Mention about their political and civic views. Russian citizenship and the achievement of the age of eighteen - a prerequisite for accepting you into the ranks of the Cossacks. So in your statement focus on this item. Get and attach to your application a motions two Cossacks of the community in which you are going to join (they must be in writing). Best of all, if it will be people who know you and are capable of objective characteristics of your personality. You will also need copies of documents confirming information specified in the application (a copy of the passport of the Russian Federation, etc.). Need to be and two photos of 3x4 cm format. According to the rules of the majority of the Cossack communities, each member starts their own business. In it are stored all the documents. 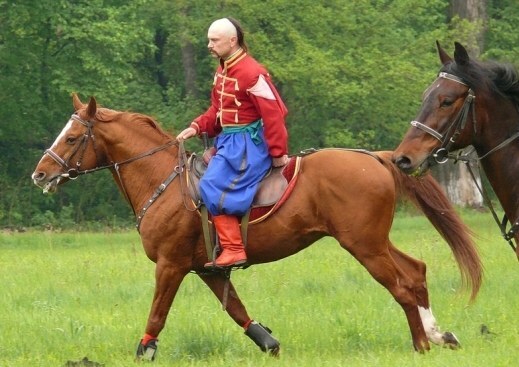 The decision to accept you into the Cossack ranks, was adopted by the General meeting of the members of the entire group. Typically, this decision takes about a month. If the meeting will approve your candidacy, you will be assigned a probationary period, after which and in the absence of any complaints in your direction you will receive the certificate of the Cossack. To give it needs military chieftain in a festive atmosphere. During the trial period, you will need to examine the statutes and traditions of the society, upon its completion, is to purchase the appropriate prescribed form and start life with a new status. Remember the Charter of Cossack and not break it after becoming a full member of the community.